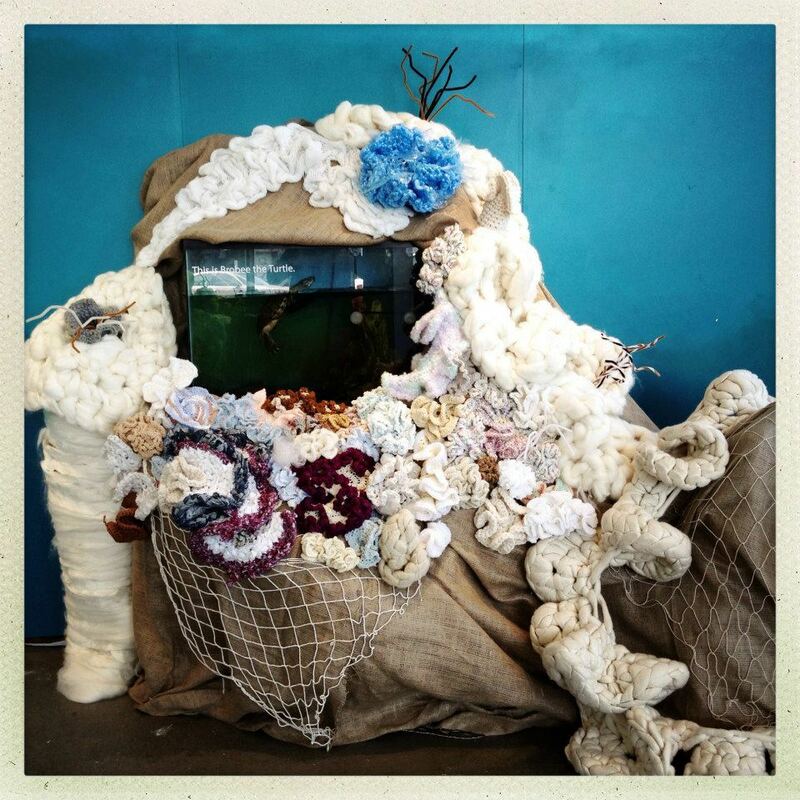 The Baltimore Satellite Reef (BSR), a satellite of the Hyperbolic Crochet Coral Reef Project (HCCR), facilitated by artist Karida Collins is coming to Gallery CA. 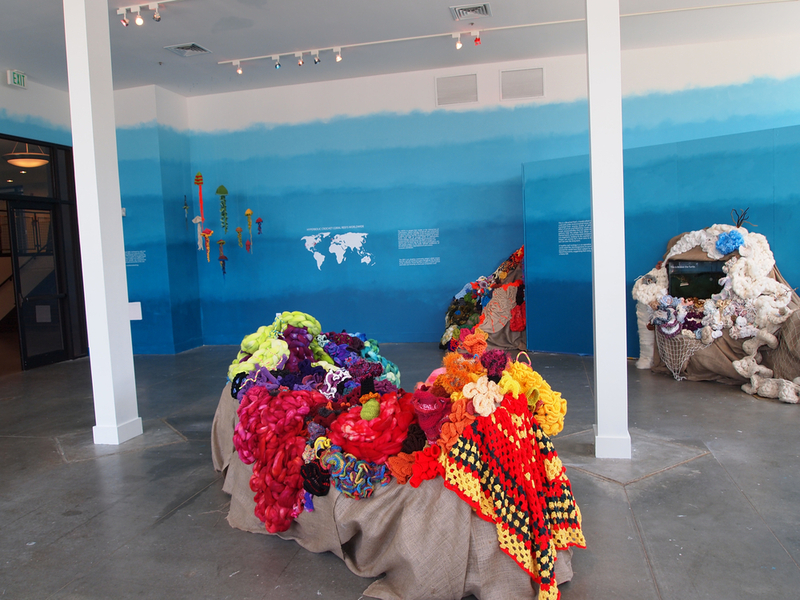 Community members young and old from all around Baltimore City have crocheted this enormous coral reef replica. The larger HCCR project began in 2005 with Christine and Margaret Wertheim, of the Institute for Figuring, in response to the destruction of the Great Barrier Reef. The HCCR is a community arts project that creates new methods to engage the public about scientific and environmental issues. With an unusual fusion of mathematics, marine biology, handicraft, collective art practice and environmental consciousness, the BSR will be a unique and distinct part of what may be the largest community arts and science project in the world. 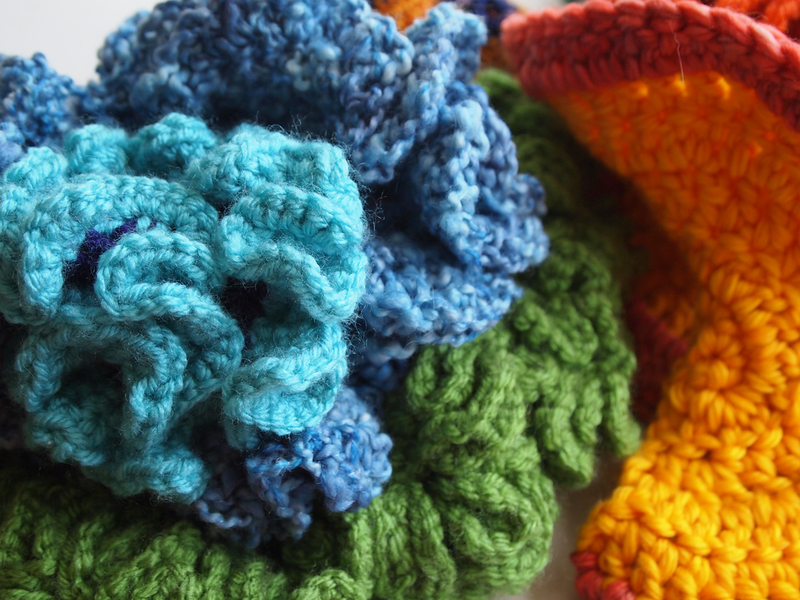 Because of the flexibility of the formula and creativity of each community, it will be totally unique from the others, much like the ocean’s living coral reefs. 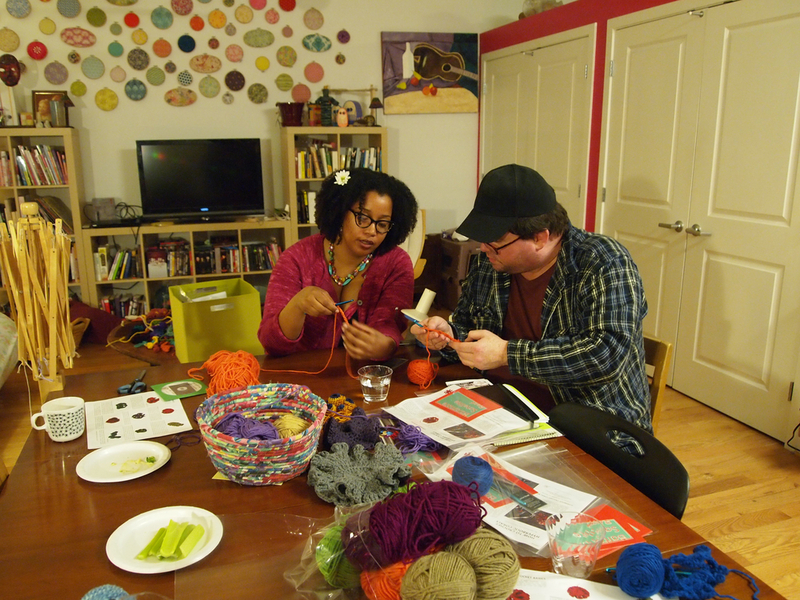 The BSR, and all related programming, was made possible by generous support from The Institute For Figuring, the Office of Community Engagement at the Maryland Institute College of Art and Neighborhood Fiber Co.